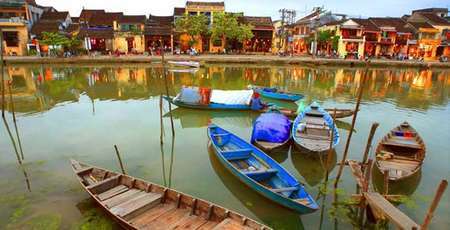 When talking about travelling to Quang Nam, people often think of ancient street Hoi An, My Son temple or the 2 beaches An Bang and Cua Dai. 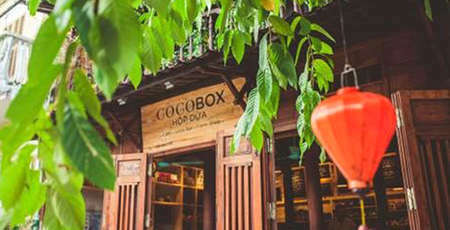 However, only 5 km from the center of Hoi An, there is another interesting destination that not many people know about. 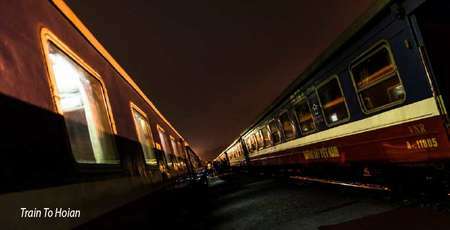 The place we are talking about is Thanh Ha Terra-cotta Park, situated right beside the Thu Bon Lake. 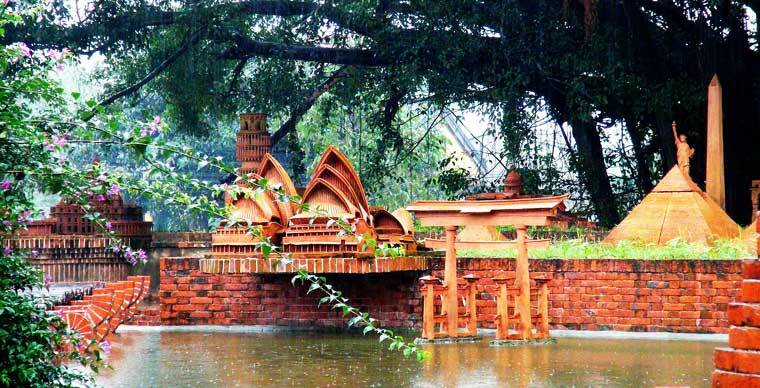 This terra cotta park named Thanh Ha was been constructed during 4 years and start welcoming visitors from April 2015. 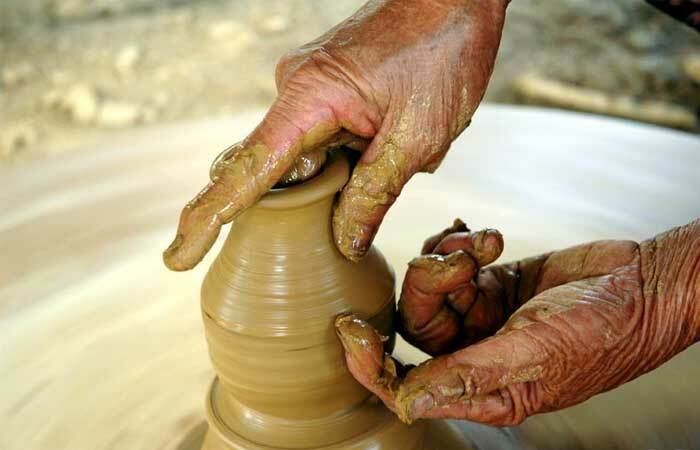 This place is considered as the largest ceramic park in Vietnam with an area of nearly 6000 m2. 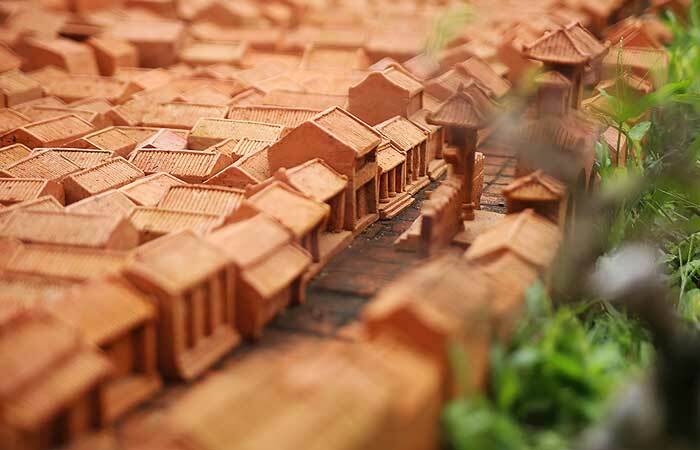 Thanh Ha Ceramic Village was very famous for ceramic products as well as bricks and roof tiles. It is indispensable to refer to the techniques to make Ying-Yang roof tiles installed on the roofs of ancient houses in Hoi An. These typical red bricks, made of typical clay from this region, were also used for building the museum. 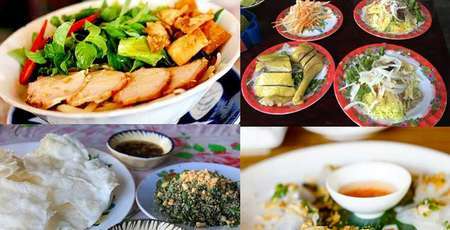 Thanh Ha park is designed and established by local people, who have been educated and influenced by the traditional and historical values of the village. 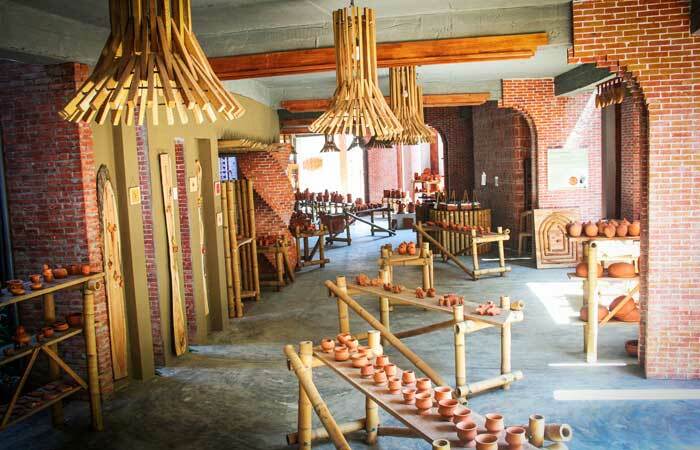 The space of the Thanh Ha ceramic park is structured with 9 separated areas: the potter’s kiln, the museum of the village, the display of village products, the terra-cotta market, the micro-world, the arranged garden, the manufacturing area, the Sa Huynh – Cham ceramic, the traditional trade villages and the exhibition area. 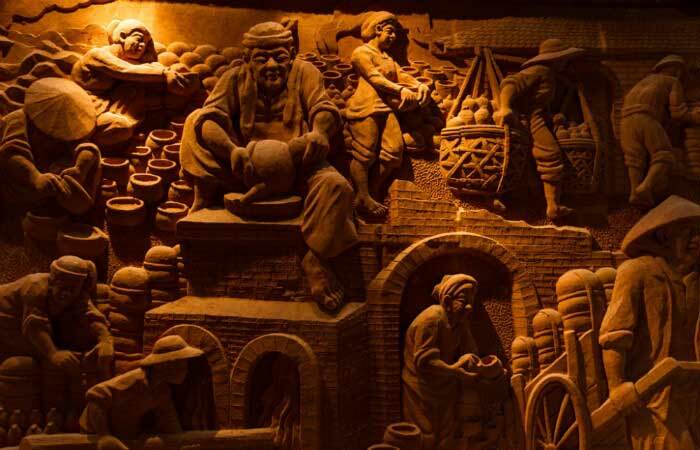 Not only a terra-cotta park, this attraction is also a museum of Vietnamese ceramic with thousands of products and photos related to the history, culture, architecture, and craving art on ceramic of Vietnamese people. 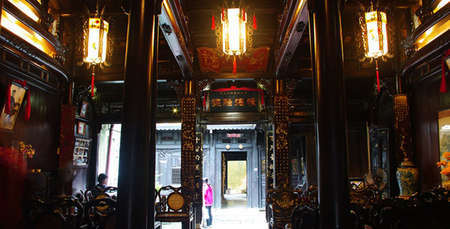 The 2 main houses are not only inspired by Cham or Sa Huynh culture but also from the 2 types of potter’s kiln: the up and the down that represent 2 concepts Ying and Yang in Asian culture. 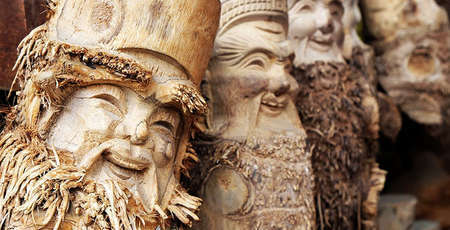 The up house create an open space where multiple traditional trade villages can connect to each other, especially with those very well-known ones such as: Bat Trang, Phu Lang, Vinh Long, etc. The down house representing a conservative concept. This area is for introducing and protecting the trade village history with 500 years of age and displaying village products to visitors. 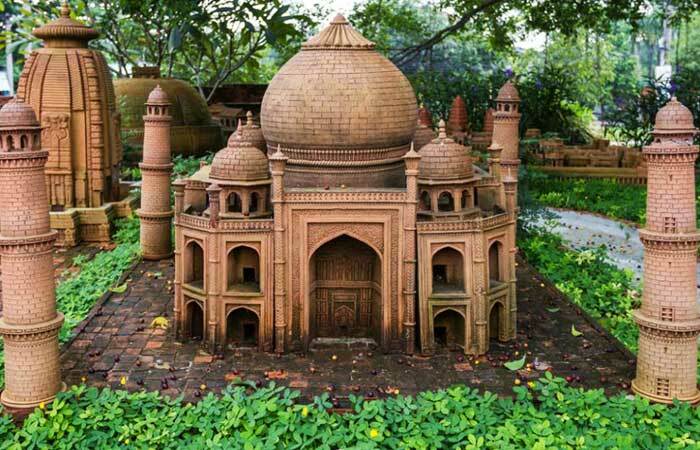 In the middle of the park, there isa lake surrounding a round yard – the symbol of the round table that artists use in making ceramic. A wood bridge built cross the lake to connect the yard representing how ancient people use water to move wood to the village. 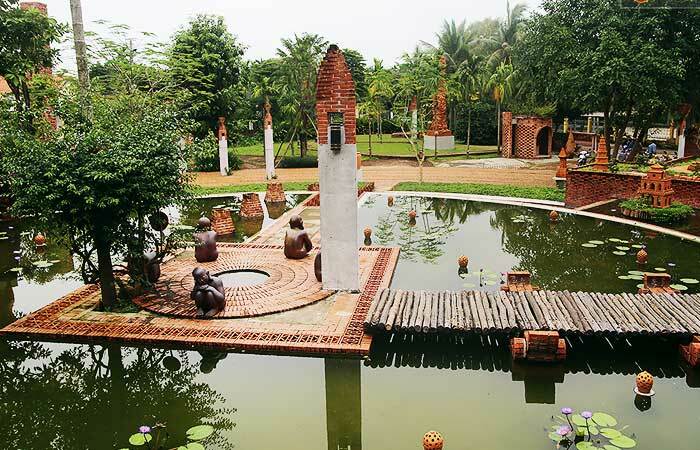 Thanh Ha terra-cotta park has been evaluated as the largest and the most unique ceramic museum of Vietnam. 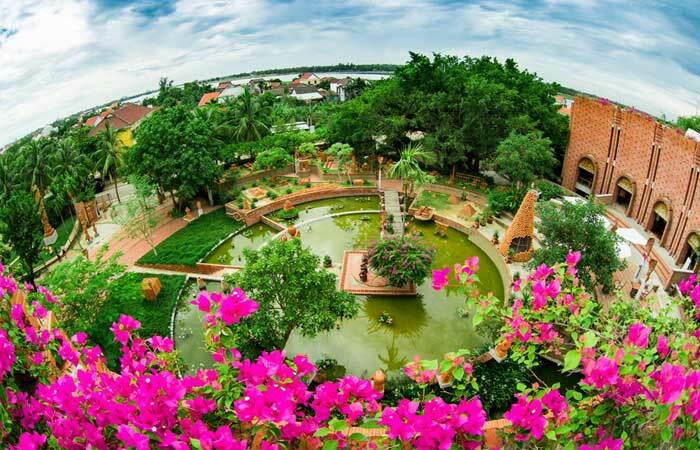 This must be one of the interesting attraction for visitors to understand further about one of the most ancient trade village in Hoi An via exhibition spaces connecting the past, the present and the future.